Many of the terms and names of laws and chapters of laws hereby mentioned in English are translations made from the German Language. Some of them are well established and widely accepted while some other are translations made by the author of this assignment. As a consequence those translations can be subjective. 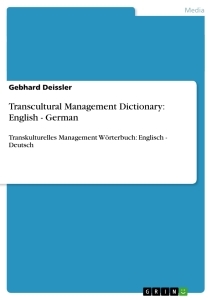 In those cases in which a discussion could exist about the suitability of the English translation, the original terms or names in German have been indicated next to them. This has been done pursuing a better understanding of some German legal terms which are so commonly linked to their original forms that showing only the English translation could create confusion. Graphic number 1 in which the different GmbH bodies and its interdependences are shown could unfortunately not be found in English. As we have considered important to keep the original layout, the chart has been directly included in this assignment along with the reference to its origin. While not directly added to it, a personal interview was held with the Managing Director of a GmbH was held while writing this assignment. The format was an informal interview with that MD in which some initial questions led to a debate on which the main liability issues are when taking on the position of MD. Some of the views and comments expressed in that interview have helped us in the process of forming our own opinion about our researched topic and have flowed indirectly into our conclusions. In order to respect the identity of that MD we can only say that he works for a middle-sized GmbH in the metal industry in North Rhine-Westphalia. German words, which for any reason had to be kept in their original form in the text, have been written in italics. For management students it is often the final career goal when they start their business university degrees. Many business schools help by mystifying the MD position and by promising endless rewards, both economically and socially, for those fortunate enough to do what it takes to get to the top. However only those currently in a MD’s role see and feel the risks associated with such a responsibility. Exactly the part of the tale nobody tells dreaming business students and talented young managers about. Our goal with this assignment will be to help to develop further understanding about the MD’s role by focusing on one of the most unknown sides of this corporate position: the liability (or better expressed, the many liabilities) to which the MD is exposed. 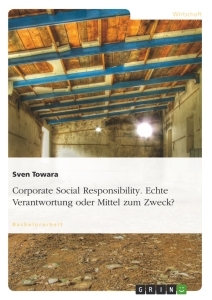 Often associated with money, power and status, MDs sit in a very critical position in which mistakes, either actively or passively, can directly lead to serious personal liability in front of the justice which, in some cases, has brought personal discredit to famous CEOs in Germany as well as in many other countries around the world. The framework for our research will be a specific type of company, the so called GmbH which play a central role within the German tax and legal systems and which are similar to the Ltd. companies in the Anglo-Saxon world. 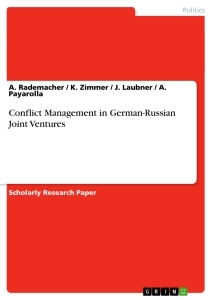 We will introduce the GmbH a bit more into detail in the next section of this assignment. Our methodology will be based on the use of legal specialist literature to be able to understand different juristic concepts and value their influence on the MD’s role. For that we will use direct or indirect citations and personal reflections which will add value to our observations. In the conclusions section we will look backwards and will try to objectively assess if, as many see, the job of a MD is always a safe and quite path complemented by expensive company cars, fat paychecks, bonus or power to decide or if MDs receive all the before mentioned perks as compensation for a high-risk high intellectually demanding position. GmbH s are probably one of Germany’s most used forms of company and therefore their MDs play a crucial role in the German business landscape. The MD’s position should therefore be known by all those involved in the business world independently of their level of knowledge or training in legal topics. In our case, without specific juristic academic training, our approach to this topic will only aspire to help - through plain language- someone non initiated in juristic issues to understand the central position of the MD in a GmbH while throwing some light on the main duties, risks and eventually liabilities related to it. The idea behind it is to allow anyone about to take on the position of MD –or interested in doing it in the future- to really be aware of all what the role implies and not only, as mentioned before, of the bright side of it. We could start by defining a GmbH as “[…] a trading company with specific legal personality. This type of company can have one or more partners. […]. According to § 13 Abs. 1 GmbHG a GmbH is a legal person. 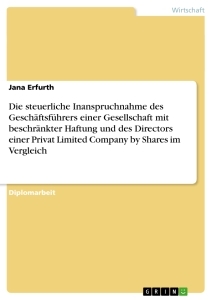 The GmbH is mandatorily made up of at least two bodies - the Managing Director, having the executive power, and the shareholder meeting. In co-determined GmbHs with more than 500 workers a Supervisory Board must be appointed according to the German Codetermination Act” . 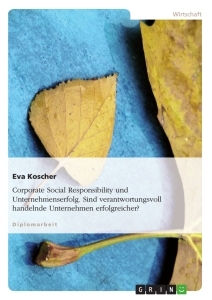 As we see, the GmbH has its own specific place in the German Private Law system which, given the relevance for the country’s economy of this type of stock company, regulates all legal details ranging from its foundation, the initial inscription in the register of commercial companies, the selection of the company’s name, its tax and accounting reporting duties and of course, the liabilities involved, especially for the MD, in which we will place the focus of our study. It is our purpose here to introduce briefly only the main facts on a German GmbH. The goal will be to provide some general knowledge about this type of German corporate legal form as general framework to put into perspective the MD and the liability arising from his/her position. organs ensuring corporate tasks and mission at management level are clearly defined, delimited and ordered in relation tot he MD’s central position of power. 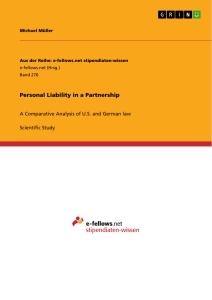 The GmbH legal form is one of the most frequently used legal forms in Germany when registering a new company because it is widely associated with a low –at least lower than with other legal corporation forms- degree of risk and liability. GmbH s have to be founded by at least one natural person in full possession of his/her business capacities and be certified by a notary. The minimum founding capital which has to be deposited is 25.000€. And before paying out any dividends to shareholders, one quarter of the annual benefit has to be paid into a statutory reserve until the minimum capital of 25,000 Euro has been reached, § 5a GmbHG. 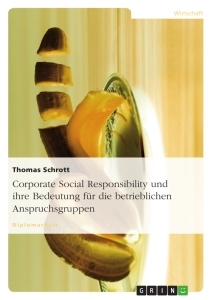 German corporate law (§§ 95–116 AktG, §§ 9, 36–41 GenG) separates between management board (Vorstand) and supervisory board (Aufsichtsrat) and although this bodies are more frequently found in big companies associated to the legal form AG (equivalent to PLC or Inc. in Anglo-Saxon countries), the supervisory board can also be found sporadically in some GmbH. Especially in the case of GmbHs being part of big multinationals as separated business units or specialist branches. In that case the supervisory board’s mission is that of counterweight and surveillance tool aimed at regulating the MD’s work. Since the GmbH is a legal person, it means it is the GmbH who performs business activities, enters agreements and trades in the market and not its founding partner(s). Concerning taxes, the GmbH must pay corporation taxes, trade taxes and the so-called solidarity tax. If dividends are paid to shareholders, a tax on capital gains has to be paid as well. As for accounting purposes, the stipulations of the HGB must be complied with. Each GmbH is committed to use the accounting system provided by the law (double-entry bookkeeping, including annual balance sheet). Liability is a term commonly referred to in Law contexts meaning “the state of being legally responsible for something or the state of being liable for something“. In the business the meaning of liability is restricted to the corporate world. In that case it refers to „the liability resulting from a breach of a duty, or an obligation arising from an action or a failure to take action, in the normal course of a business“. It is necessary to comment here that any liability, which might arise from the MD’s activities, decisions or behavior, does not arise from the fact that an employment contract has been mutually entered between the company (represented by authorized representatives) and the employee, in this case the manager about to become MD. Employment contracts are legal documents and as such they are binding. But the fact that these duties and obligations are clearly stated in the Paragraph 43 of the GmbH Law (§ 43 GmbHG. 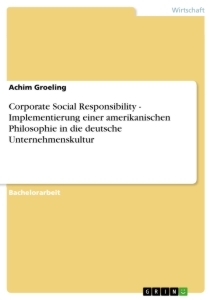 „Haftung des Geschäftsführers“) makes them stronger than the breach or violation of any regular employment contract. In other words, the liability of the MD’s job does not exist because there is an employment contract regulating it but because the law assigns to the MD some inalienable duties which have to necessarily be fulfilled. A MD is appointed as natural person to represent the GmbH both internally and externally and act on its behalf as stated on § 43 Nr. 5 GmbHG. No specific qualifications are required in order to be appointed for the position. The MD represents the company externally and enters agreements on behalf of the GmbH after which the GmbH assumes some rights and obligations. Although many executives are anxious to become one day MD because they wish to be able to decide without having anyone above them in the corporate structure, it is not the case in the highest position of any company either. Even MD must base their decisions to convince shareholders, members of the supervisory board or company owners so they grant him/her more funds, more resources or more credit in case of bad financial results at the end of the year. In other words, also MDs have someone above them exercising the same degree of control and supervision as they do over department managers. An exception to this would be MDs in family-run small or medium-seized companies. In this case the MD is normally the company founder or owner, or one of his sons, daughters, or a direct relative. Nobody sits then above the MD hierarchically and they do not have to explain anyone the reasons leading to a specific decision or action. Gabler Wirtschaftslexikon (2016). German Codetermination Act (or MitBestG – Mitbestimmungsgesetz - in the original in GER). It is a Law regulating the co-participation of employees. It dates back to 04.05.1976 (BGBl. I 1153). Bundesministerium für Wirtschaft und Energie (2016). IHK Frankfurt am Main (2016). Gabler Wirtschaftslexikon (2016). The Solidarity Tax is a special tax applied both in Germany’s Eastern and Western Federal States to finance the costs oft he country’s reunification. Jehle FR. T. et al. (2009), p. 187. Cf. Hekschen & Van de Loo (n. a. ).